The below message and accompanying exhibits (included at the bottom) were submitted today to FaceBook in response to what could be construed as a form of censorship. How Facebook responds will no doubt be elucidating. The fact that Facebook would send such a notice and then threaten to block sending further friend requests (which is how it grew into the behemoth it is today) is beyond absurd, as articulated below. Moreover, it is a sad commentary that one would have to go to such lengths to protect one's core freedoms and rights, but such has been the plight in contending with the influence of one of the most dastardly organizations in existence . . . Morgan Stanley. 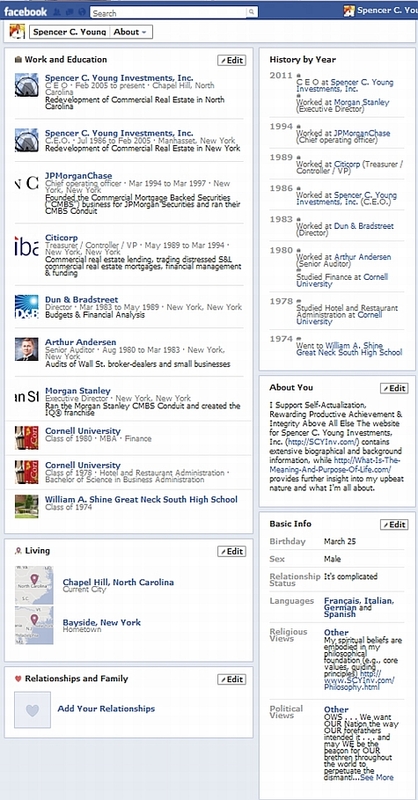 And why would Morgan Stanley wish to mute anyone on Facebook? Answer: Because their reprehensible transgressions are revealed in many of Spencer Young's Facebook posts, which have been made public. Facebook’s Marketing – By its own admission and in its own core marketing that enabled it to become the largest social network and worth $billions, Facebook bills itself as “an online social network that lets you reconnect with old friends, stay in touch with current friends and make new Facebook friends”. That is exactly what I am doing, and the only new Facebook friends I am making come from specific recommendations (See Exhibit B below), or where we share MANY mutual friends, which leads to my next point. I’ve Got More To Lose – Go ahead, but take a look at my Facebook page and you’ll see literally thousands of family pictures and extensive detail about me personally. 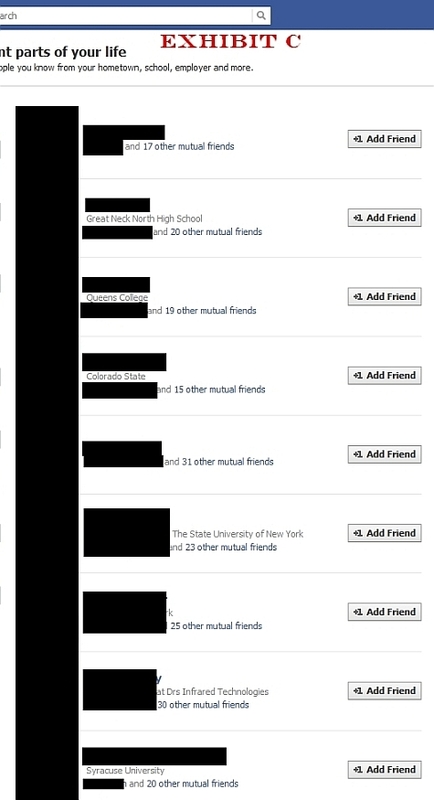 Without question, the amount of personal information I make available to my Facebook friends substantially dwarfs most every other person on Facebook. (Exhibit F). My Friends Are Legitimate – as of this writing, my current Facebook friend count stands at 309, and I can honestly say I KNOW each of these people. I also have three sons on Facebook, who have not accepted my friend requests, and I know I’m not the first parent who has been rebuffed as such. 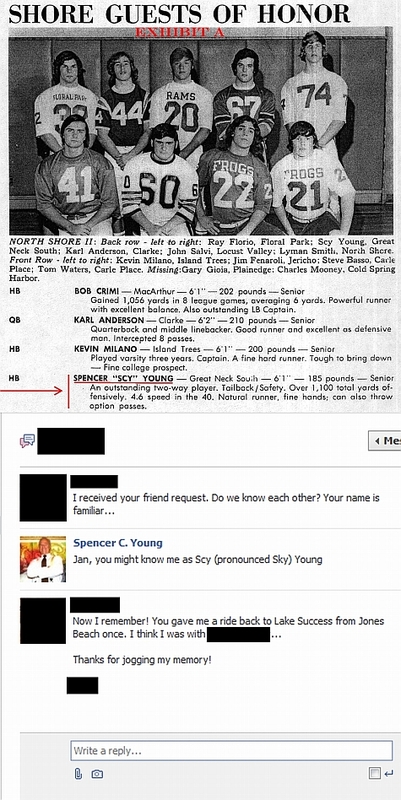 As each of them became stars in the sport of lacrosse and having been intimately involved in their upbringing, and therefore know many of their friends, I can assure you Michael (a/k/a “Mike”), Kevin and Ryan Young do NOT actually know many of their collective 4,302 friends (See Exhibit G). You Are Misidentifying Me - I am in NO WAY a spammer, NOR am I a stalker. Rather I am quite a normal human being with the heart and capacity to have many friends. 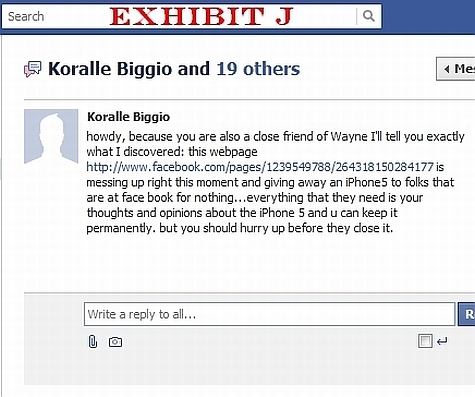 Instead of unjustifiably harassing me, you would be better served in going after the person or group that sent me the message contained in Exhibit J. The aforesaid evidences there being no basis for your assertion and threat, and I request that you rescind it IMMEDIATELY. 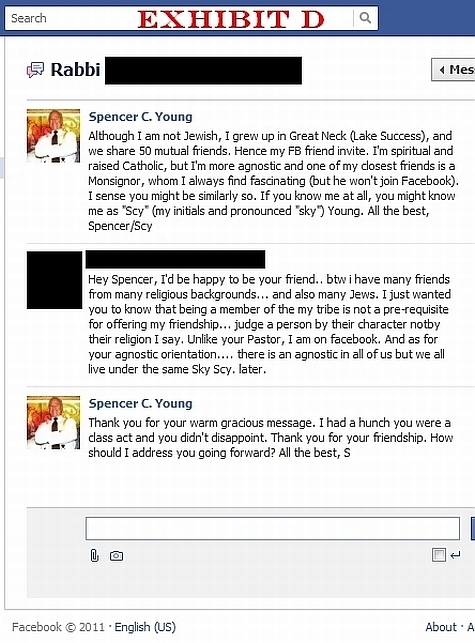 IMPORTANT FOLLOW-UP: A few days AFTER this communique was sent to Facebook, I was notified that I was being BLOCKED from requesting new friends FOR 7 DAYS. 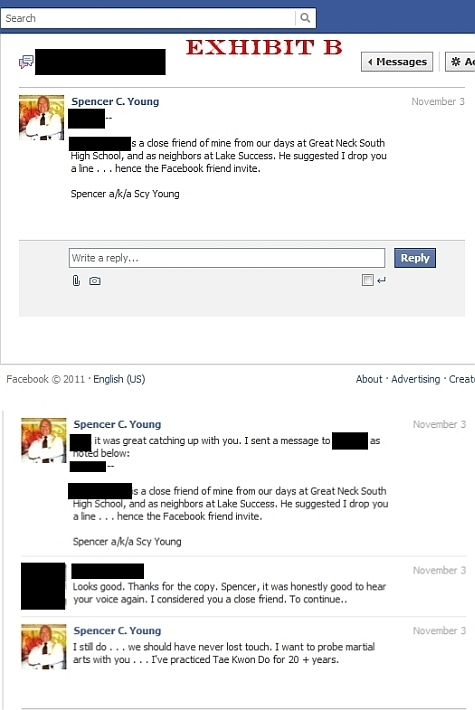 From the day I received the THREAT (blocking friend requests), I made NO ADDITIONAL REQUESTS. Let's put it this way -- If Facebook users in the Middle East were treated similarly, there would have been NO ARAB SPRING because most of the communications between the activists who spurred the revolutions would have been BLOCKED. SOMETHING IS VERY ROTTEN IN DENMARK ! !